108-movement solo form. I have seen this short form in different parts of the world – in China, Philippines, England, Thailand, Italy, and United States. It is the form that people usually associate with Tai Chi Chuan. When I was studying Tai Chi Chuan Yang Family Style in Manila’s Chinatown in the late 1960’s I saw only three forms – Solo Form (108 movements) which we later called the Long Form to distinguish it from the short version of Master Cheng Man-Ching; Sword Form; Push Hands (if we can call it a form). The master who taught Tai Chi Chuan at the school where I studied, Hua Eng Athletic Club in Manila, was Han Ching-Tang, the famous teacher from Taiwan, who was featured in books by Robert Smith. Master Han wasn’t around when I started studying, but Chan Bun Te, an impeccable stylist who studied the form with him, was and he was there to correct my movements when I needed it. Master Han apparently taught only these three Tai Chi Chuan forms — the Solo Form and Push Hands (both of which I studied) and the Sword Form (which I did not). There were students who were practicing the Sword Form when I was at Hua-Eng. I learned a few movements but the man, whose name I can’t remember now and was probably called Mr. Sy, who was teaching it left and nobody took his place. My Shaolin master Johnny Chiuten gave me a video of this talented man performing several forms – Solo Tai chi chuan form, Sword Form (Han’s also), a type of Chen style Solo form, and Pa-Kua Chang – apparently most of them, if not all, learned from Han Ching-Tang. I understand that Master Han studied the Yang Family Solo form in the Central Guoshu Institute or Central Martial Art Academy in Nanjing in the early 30s. But Han had revised it in many ways. The opening, for instance, looked like the beginning of 5 Element Fist of Hsing-I. In other places, he had changed the movements too, but fortunately not the names. I learned another version of the Yang Family 108 Solo Form from Grandmaster Lieu/Lao Yun Hsiao (also from Taiwan) later on, when the master was visiting the Philippines in 1970. He did not teach us any other Tai Chi Chuan form. 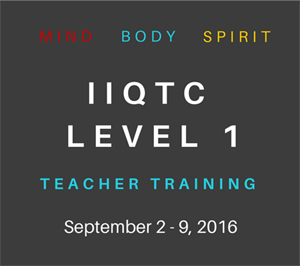 When I moved to the United States in August 1970, I saw a few Tai Chi Chuan teachers. Their curriculum covered the Solo Form, often the 108, plus Push Hands. Sometimes they taught a Sword form; often not. I observed Tai Chi Chuan masters on both East and West Coast. 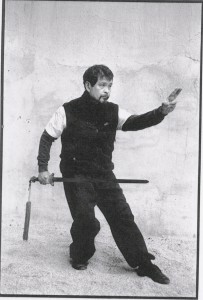 From what I had seen at his school in New York City in early 1970s, the legendary Cheng Man-Ching taught his abbreviated 37-movement Solo form, Push hands/Sensing hands, and Sword. I haven’t found any other evidence that he taught any other forms. It is possible that he also taught Ta-Lu (translated at the Gin Soon Tai Chi Club as “great pulling”), which is really part of 2-Person Sparring/Sansou, to a few students. I did not know at the time where he studied these forms, but I read somewhere that he studied with Yang Cheng-Fu. Cheng’s short form is not a part of the Yang Family curriculum. In 1986, I was taken by Gunter Weil and Rylin Malone, two friends from the Healing Tao, to the Gin Soon Tai Chi Club in Boston’s Chinatown district. For the first time, I saw a more varied curriculum that included not only Push Hands, Solo form, 2-Person Sparring form and Sword but also Staff-Spear and Chang-Chuan. It was quite a pleasant surprise not only to see a genuine master in Gin Soon Chu, the second disciple of Yang Sau-Chung, the son and heir of Yang Cheng-Fu, but also to come upon forms I had not seen before, and he was teaching them openly. There are two possible reasons why only one or two Tai Chi Chuan forms of the Yang Family became widely disseminated. 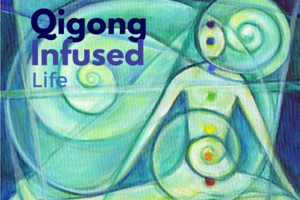 One reason might be that the Yang family did not teach the other forms – or taught them to only a few people, mostly their close disciples or children. Another reason is that a majority of students are inclined – for lack of time or motivation or opportunity – to study only one or two forms. When Yang Cheng-Fu was alive, it appeared that only two or three forms were taught in public — the Solo form (108); Push Hands; and the first Sword form. The other forms – like the Tai chi chuan Chang-chuan (Long Fist or Boxing), 2-man sparring set (Sansou), staff-spear set, first, second and third Knife/Broadsword, second Sword and perhaps others – were usually not taught. In the Yang Family tradition, except for the times when Grandmaster Yang Cheng-fu taught in public, usually he taught only one, perhaps two students at a time. As a result, a student may not know what other students were studying unless s/he talked to them. With Grandmaster Yang Sau-Chung (1909-1985), many of the lessons were taught in a small apartment in Hongkong. There was really no room for a big class. Each student took private lessons. As far as I know, there were no public announcements of workshops or classes, just private lessons. What Yang Cheng-Fu was talking about in the epigraph above is that there is indeed an extended curriculum of fist and weapons forms. It is not just one or two forms, there are several; apparently, some of them were secret forms taught only to a few disciples. In the list, Yang Cheng-Fu mentioned the Tai Chi Chuan form. 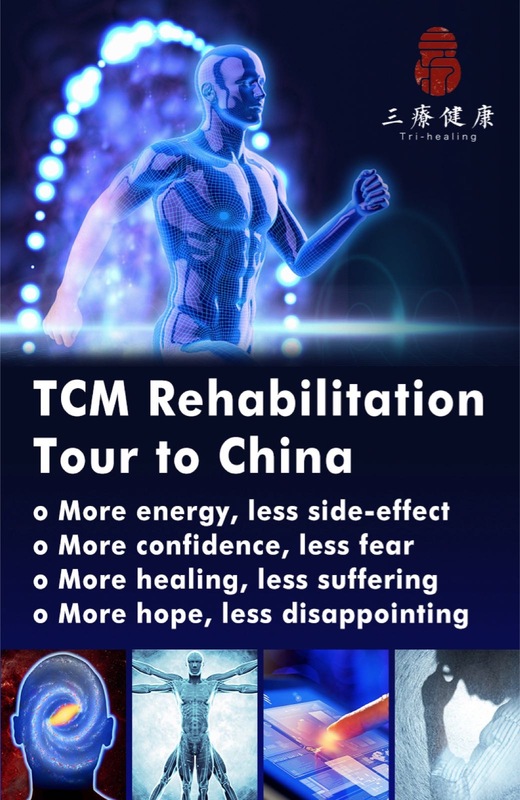 This probably refers to the Solo (108 movements) form, which was the revised form – a large-frame form – that was popularized in China in an attempt to help the people improve their health. I said “probably” because there are really different versions of it – among them, the Medium frame, Tiger style and the Small frame, forms that are taught in the Gin Soon Tai Chi Club in Boston’s Chinatown. Master Yang also referred to Tai Chi Long Boxing. Was he being redundant here, since Tai Chi Chuan also refers to Long Boxing, or was he referring to another entirely different form? I conjecture that he was referring to another form, specifically the Chang Chuan form, which is often considered the Long form in the Yang Family. 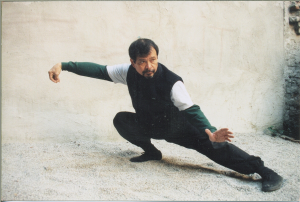 Chang Chuan is also sometimes referred to, rightly or wrongly, as the Fast Tai Chi Chuan form (because of its fast movements) or the Fa-jing form (because of its explosive techniques). I have not seen the Tai Chi Chuan Chang Chuan form mentioned in the literature. But, according to Vincent F. Chu, he heard that there are books in China about it written by students of Chen Wei-Ming. Chen Weiming himself listed the moves of Chang-Chuan in his book on the Tai Chi Sword published in the 30s. A translation of this book into English by Barbara Davis omits the list. Chang Chuan is a beautiful and rare form characterized by alternately slow and sudden, dynamic and explosive movements. The movements are actually similar in name to the Solo Form but there are variation in the sequence and in the technique and execution. There is also a complete form called 2-Man Sparring Set (Sansou). It is a form that enables the practitioner to learn the deeper application of the different movements in the Solo and Chang Chuan forms. The student has to study both sides (A and B) to learn the form. Push Hands in the Yang Family tradition as transmitted by Yang Sau-Chung to his second disciple Gin Soon Chu is a complicated discipline. There are at least 7 different facets of it, some involving stationary postures with hand movements and positions that are intended to develop internal structure, sensitivity, receiving and explosive energy, softness and dynamism; others involving manipulations of the chi; still others involving movement of the hands and feet (like Ta-Lu). Basically, it was a training that incorporated the 34 or so techniques of fa-jing. From the curriculum offered by Master Gin Soon Chu, I learned there are indeed these fist and weapons forms handed down in the Yang Family. There are even three versions of the Knife/Broadsword form (one of them, a vigorous and fast version known as Yang Sau-Chung’s favorite, another with a flying inside crescent kick like Shaolin) and two versions of the Sword form (one of them called Yang Cheng-Fu’s form). Yang Cheng-Fu’s “And so forth” in the quotation above leaves much to the imagination. He was obviously referring to other forms, but he did not elaborate. 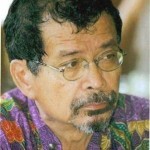 The essay was first published in Rapid Journal, an internal arts magazine published in the Philippines. 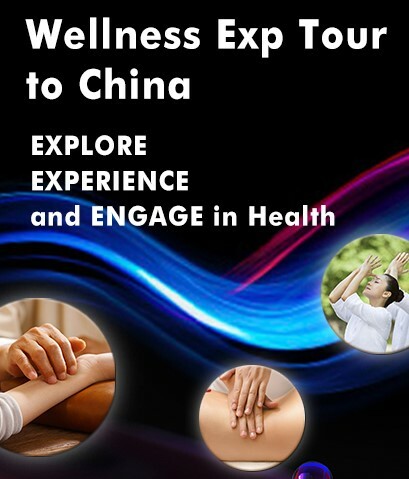 This entry was posted in Method of Self-Healing and tagged China, exercise, health, physical health, physical strength, push hands, spar, tai chi, tai chi chuan, yang. Bookmark the permalink. Thank you for the article. I have had the fortunate experience of training in the same lineage with Rene Navarro. Rene is a true Renaissance man. A poet, mystic, warrior, healer, father and teacher. Yang family tai chi chuan is a passion we share. An art Rene continues to teach, study, research and write about. Much gratitude to you and the Gin Soon Tai Chi Chuan Federation. The system of Traditional Yang Family Tai chi chuan, as taught by GM Gin Soon Chu, is so much more varied, more complete and more profound than I have seen anywhere else. Chu shifu has brought back the old tradition of the Yang Family. I am lucky to have been able to study with him in Boston. Sifu Navarro: I have been practicing Yang Style Taiji quan since 1963. During this time I’ve learned both traditional and modern Yang forms: hand and weapon forms. Following the Yang (Fukui) Luchan’s lineage, especially his second son, Yang Bang-hou, who practiced Chang Quan forms, particularly the “Hua Tan Hand Form”, known also as the “Flower Altar Hand Form”, and taught it to his indoors students nor did you talk about Yang Chieng-hou, Luchan’s third son, who, in turn, developed Taiji style different from that of his father. Again, your article covers a lot of interesting and historical topics of the Yang Family Taiji quan. Thanks. I live in Boston, MA. and work as a high school algebra II teacher. Thank you, Mr Estepan, for your comment and for contributing information to the colloquy. After studying with Sifu Gin Soon Chu, I’ve wondered what Yang Cheng Fu taught the different masters who were supposed to have studied with him in the 20s and 30s. Chu sifu’s curriculum, transmitted to him by GM Yang Sau-Chaung, the oldest son and heir, includes different forms. For instance, he taught 3 forms of the Dao/Knife, 2 forms of the Jian/Sword, 2-person sparring set/sansou and the fast and slow form called Tai chi chuan Chang Chuan.